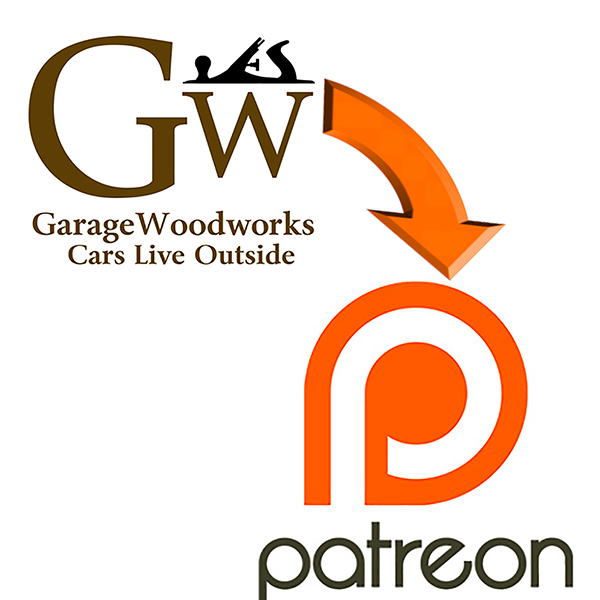 Garage Woodworks is now on Patreon. We set up a couple of different support levels on Patreon that would give you access to exclusive GW content. We hope you’ll consider joining our Patreon community and support what we do. This entry was posted on Thursday, March 16th, 2017 at 2:39 pm	and is filed under Uncategorized. You can follow any responses to this entry through the RSS 2.0 feed. You can skip to the end and leave a response. Pinging is currently not allowed.